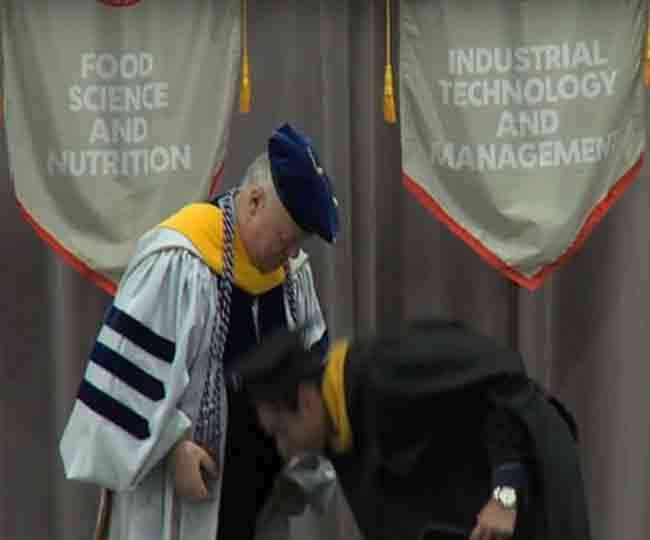 Indian Sanskari Act in Foreign Goes Viral as an Indian student touches the dean’s feat at the convocation. The video of him touching the feet of the dean was posted on twitter with a tag “Indians will be Indians” and it became viral in no time. Gaurav Jhaveri, who was a student of Illinois Institute of Technology IIT Chicago in the USA during the Commencement ceremony for the school of applied technology who almost shocked everything present at the ceremony. Moreover, in the video, the startled reaction of the Dean can clearly be seen as Gaurav touches his feet.